NAAI primarily organises vocational skill competitions to discover and nurture the talent of persons with disabilities and create awareness in the society at large about their productive skills. The headquarters of NAAI are located at Sarthak Educational Trust, Mohammadpur, Near Bhikaji Cama Place, New Delhi. The PwD participants in the age group 18-35 years from all zones in India are encouraged to participate either individually, or through NGO’s, Govt institutions like Central Universities, National Institutes, VRC’s, CRC’s, NIT’s, Polytechnics, in these events. Under the aegis of NAAI, Regional, National and participation in International Abilympics are organised. NAAI organizes vocational skill competitions in 10 different trades under five broad categories – ICT, Crafts, Industry and Food. These range from Restaurant Service to painting, computer programming to creating web pages. 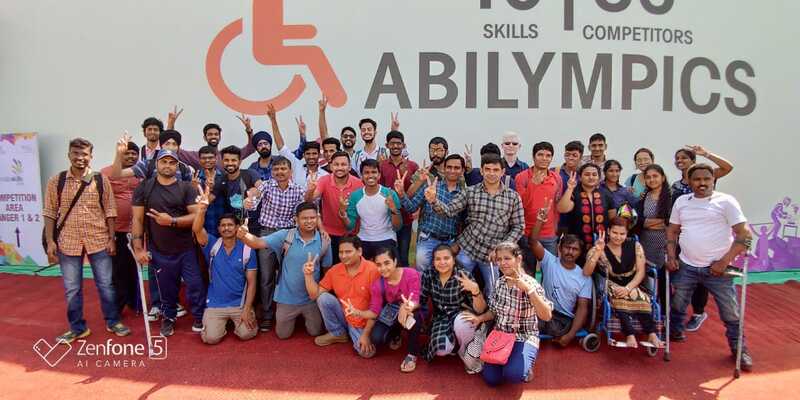 The selected participants at Regional level go on to participate in the National Abilympics and finalists of National represent India in International competitions. Sarthak Educational Trust was started in year 2008. 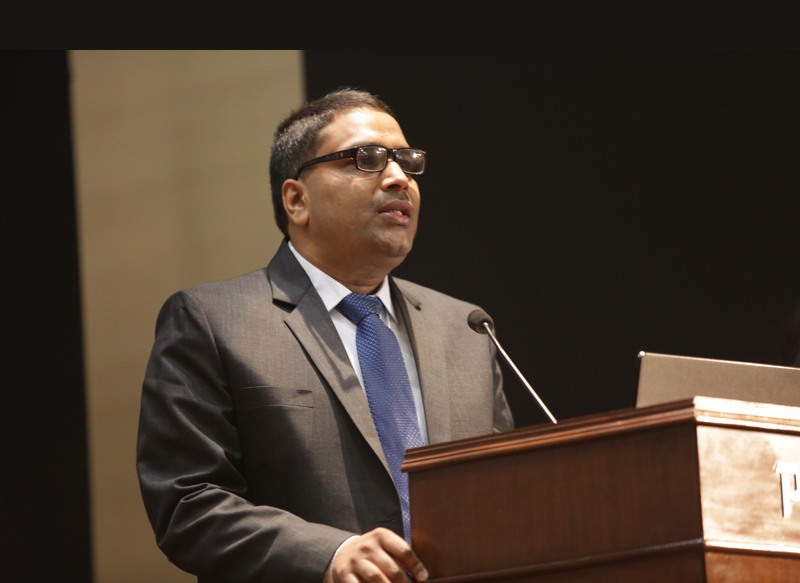 In 2004 while practising as a dentist, Dr. Aggarwal started losing his vision due to Macular Degeneration of Retina, a non-treatable concern. During this period he realized the agony with which a PwD's goes through due to constraints such as non-inclusive environment and limited access to resources and opportunities. 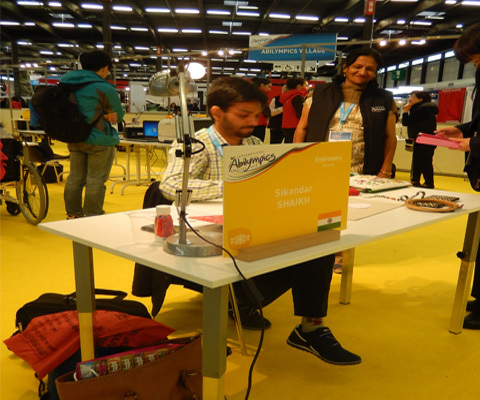 With God’s grace and support from various relevant persons he first got himself trained in screen readers and other software to manage and execute his daily activities through Computers, and gradually started with skilling and employment of visually impaired candidates in Medical Transcription in Delhi. Thus, he envisioned a platform where this dependency can be cured. With this thought, in 2008 Dr. Aggarwal started with one centre in Delhi and gradually expanded to 17 centers across the nation. Through its presence in Delhi(3), Chandigarh, Gurugram, Ludhiana, Lucknow, Jaipur, Hyderabad, Mumbai, Pune, Ambala, Bhopal, Kolkata, Ghaziabad, Faridabad,Thane, Chennai and Vishakapatnam with the support of National Skill Development Corporation, Capgemini India Private Limited, Mahindra Finance and various other agencies. Through its Early Intervention and Inclusive Education initiative Sarthak has rehabilitated 1050 and 425+ children with disability respectively. And, with Sarthak Skill Development Centres, has successfully trained 12,000 PwD's candidates in the sectors of Tourism & Hospitality, Organized Retail, and IT-ITes. Furthermore, 100+ job fairs have been organized in 21 states to provide employment opportunity to those PwD's candidates who are already skilled. Through Job fairs and skill centers 15,000 PwD's have been provided employment.